Task cards are such a great way to get the students up out of their seats while covering/reviewing key concepts of the curriculum. 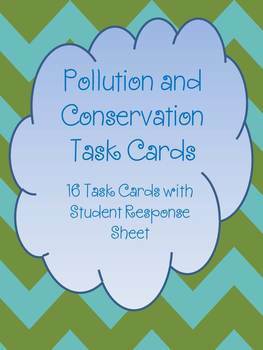 I have made 16 task cards about pollution and conservation. 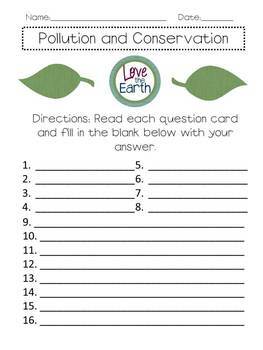 Students will be asked key vocabulary and key concepts about pollution and consevation. 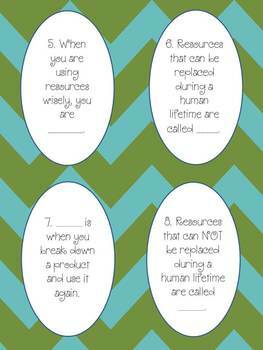 You also have a student response worksheet for the students to complete that go along with the task cards. 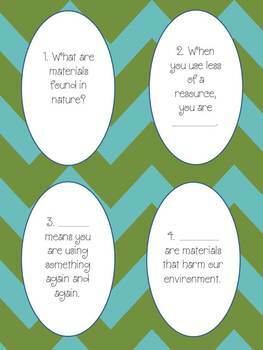 Check out the Pollution and Conservation Unit Test that was used to assess the student on these concepts!